Until recently, managing a website required, at the very least, familiarity with HTML. Updating a web page required the ability to work with FTP. Even minor tweaks to the site’s design required the client to know CSS (or to have someone on staff with the know-how). This was just an accepted part of owning a website. The nature of the Internet created a demand to keep websites constantly updated and interactive by skilled developers, designers and/or IT staff. Today, we have plenty of fantastic content management systems (CMSs) that make creating, editing and managing site content easy even for individuals who have the bare minimum computing skills. Sure, a little bit of guidance at the start is probably going to be required. Clients need to become familiar with how their CMS works and how to use the system’s admin interface. However, the days of teaching site owners HTML, FTP, CSS, and the other things that are required to edit source code and manage website files are behind us now. What this all ultimately means is that we can more easily deliver web-based products that are complex, yet easy to interface with. Instead of providing extensive staff training at hand-off, for example, web designers like the Paper Leaf team build sites using WordPress and give their clients a 30-minute training session on the publishing platform (and a user-friendly guide to WordPress administration basics when face-to-face meetings aren’t doable). When we restrict our clients — placing limitations on what they can and can’t do with their website — we start to build a list of rules and regulations that their new site comes with. As a web designer, I hate telling clients that they can’t do something with their website such as changing the font size of paragraphs, re-writing their About page or changing the color of their site’s hyperlinks. Telling a client that they can’t add a sidebar on a product description page or alter featured content on the site’s home page without the help of a professional is no longer acceptable. We can — and should — build sites that allow them to make basic changes without our assistance. 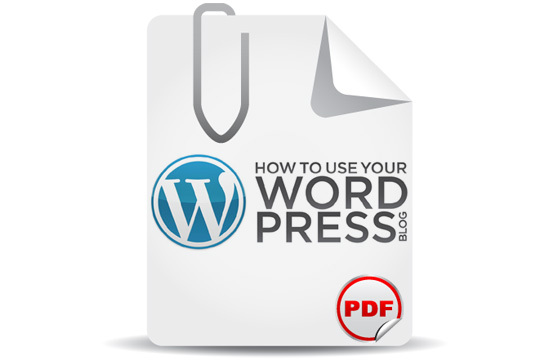 In the case of WordPress, for example, many themes allow users to specify which pages should and shouldn’t have sidebars, and there are WordPress plugins such as WP Featured Content Slider that you can easily install to deal with featured content on the home page. What follows are just some of the things you can do to empower your client. When delivering a website built using a CMS, don’t encumber the site owner with rules such telling them which parts of the system they can and can’t use. Instead, take advantage of your ability to use and create custom user roles with varying system privileges. For instance, WordPress comes with user roles that have different capabilities. The Administrator role can do anything, the Editor role allows the user to publish and manage posts but won’t allow her to modify the site’s theme settings and so on. 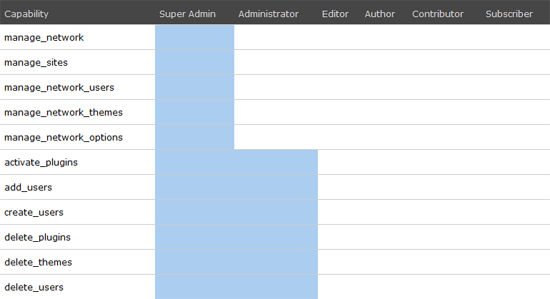 WordPress table showing user roles vs. capabilities. And if the default user roles aren’t enough, a great content management system will offer you the ability to create custom user roles out of the box or through a plugin (by default, you can create your own user roles in Drupal and WordPress has the User Role Editor plugin). Set up accounts that only have access to the tools that can generate or edit the front-end of the site, and give your clients the freedom to experiment with everything they have access to. Another important thing we need to do is to provide user interfaces for common site-management tasks (even if the publishing platform doesn’t provide them). Providing GUIs is simple if you use a CMS because if it doesn’t come built into the system, you may be able to find an extension/plugin for it or use the CMS’s API to build one. Create a list of site administration tasks an empowered site owner might want to do. For each task, determine if the CMS provides a GUI for the task by default. If the CMS doesn’t provide it by default, research plugins/extensions/modules that you can use. 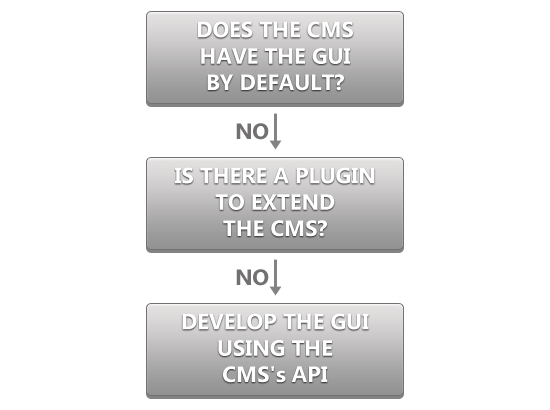 If there is no existing plugin, use the CMS’s API to create a GUI. Websites are meant to be alive — they are constantly changed, updated, redesigned, and so on. In other words, what you deliver to the client today might not be exactly the same product a year from now. Change is inevitable. Having this concept in mind throughout the website-production process will ensure that you make the appropriate design decisions. When we design with change in mind, our clients can expand and even rebuild their website with significantly less work. When a designer plans for the future around the content, they can reuse the most important part of the site even as technology and their needs change. As web designers, it’s our responsibility to make sure that our clients’ websites will stay functional while continuing to deliver a rich experience long after a project is finished. The best way to achieve this is to plan ahead as much as we can. In the initial stages of a new project, make sure you sit down with the client and hash out a plan for growth. Any project for a brand new or freshly redesigned website should involve stakeholders that are familiar with the current state of the company, product or service, along with where they want it to be several years down the road. If a company knows they want to expand into a new line of service in two years, it should be a part of the consideration of a website that’s being developed today. Getting these plans out in the open will help the web designer predict what kinds of content additions, changes and expansions to expect down the road. This way, when the client decides to expand their site, they can do so with a minimal number of surprises or additional work. I’m not suggesting that we have the power to build a website that can predict the future. However, we should be able to make websites that are as flexible and accepting to whatever lies ahead.